We last saw a mild facelift for the Audi S8 in 2014 after two generational changes that happened, the last one being in 2012. But even with such adjustments in terms of looks and feel, the S8 always looked a bit outdated. 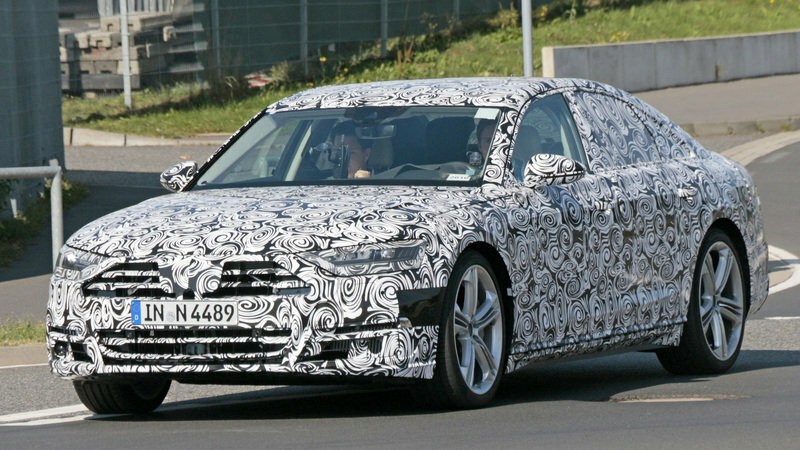 But now, we are finally seeing what could be the 2018 Audi S8. 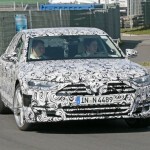 Testing is being done on Nürburgring, and it will follow through Audi’s latest design language. 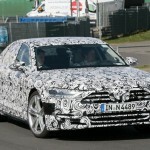 Based on the spy shots, the S8 will have a shorter nose because of Audi’s new grille design, which will be wider compared to the older models. While it still has that hexagonal shape, the edges in the upper corner are longer than before and the lower corners remained rounded in shape. Some changes have also been made on the hood and new headlight units, which contribute to the shaping of the nose. On the sides, there is not much to talk about, except for the upper body line. Previously, the line goes from the corner of the headlight back to the rear, between the belt line and door handles. But now, the line was moved down a bit and runs inline with the door handles. The side view mirrors were also modified in such a way that the upper edged transitioned into the lower outside corner. There are no concrete shots yet for the car’s interior, but it’s easy to calculate what kind of design prototype is going to be used. Just look at the insides of the 2017 A5 and S5, and you’ll have a pretty good idea how the S8 will look like, interior speaking. The new S8 is being rumored to use the 2.9-liter engine that is now being shared between Porsche and Audi. This same engine was used in the Porsche Panamera, which can produce 440 horsepower and 405 pound-feet of torque. Pricing for the S8 is still hazy, though we can expect it to charge $108,678.